Wow, it’s never been a more exciting time to be in the RSS space. And who would have thought it would have taken the Internet giant announcing its popular Reader service is heading to the graveyard of technology? And with the impending July 1 Google Reader shut down all but upon us, the market for RSS readers is bursting with activity like never before. Of course, RSS isn’t going anywhere as there are a few dozen quality apps out there. In addition, the likes of Digg, Flipboard, Feedly and many others are stepping in to fill the void with their own Google Reader replacement services. And now, you can put AOL on your list of upcoming Google Reader alternatives. You remember AOL, right? And they are calling it the AOL Reader. 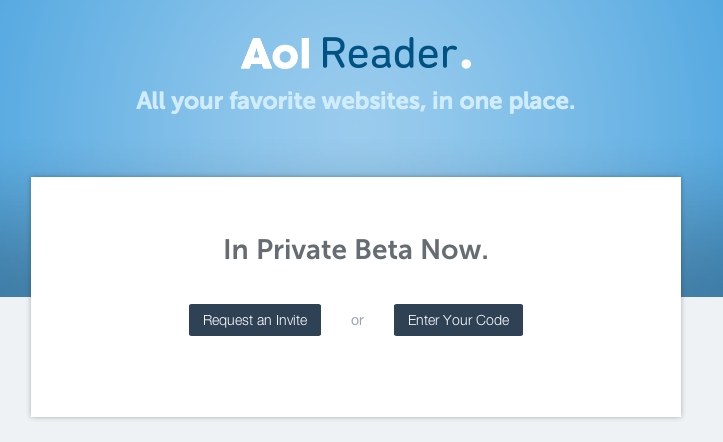 Currently offered as the private beta, AOL Reader is available on an invite-only basis at reader.aol.com and advertised under the self-explanatory “All your favorite websites, in one place” tagline. Combing through the web page’s code, Harrison Weber of The Next Web was able to discover that the service will likely be optimized “for touch devices”. LinkedIn, Google+, Twitter and Facebook sharing should also be supported from day one. By the way, the website proudly proclaims that AOL Reader is “made with ♥ in NYC”. AOL Reader will have to offer lots more than an app if it’s to compete successfully with other Google Reader replacements already vying for your attention. 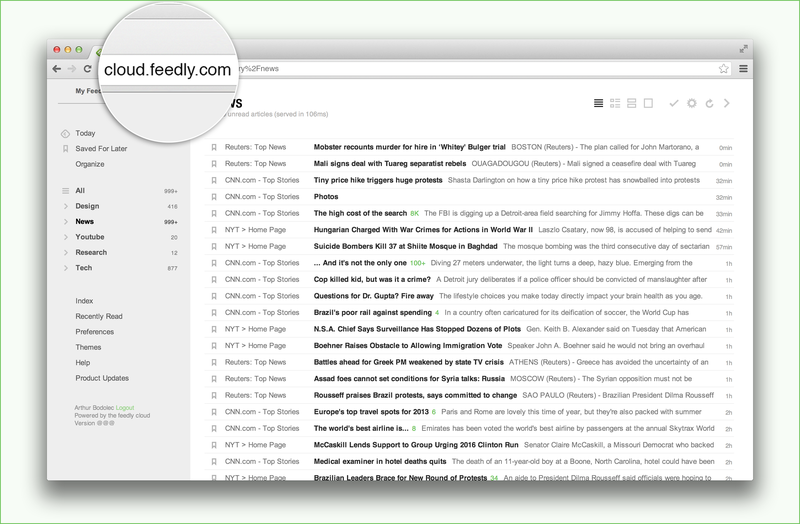 Feedly, for example, has opened its web app for everyone and it comes with the cloud platform third-party developers can tap to deliver popular Google Reader features like seamless sync, stars, labels and so forth. Feedly has another advantage: twelve million people were using its RSS solution as of end of May. Apps that have been confirmed to be implementing the Feedly cloud platform include IFTTT, Evernote, Sprout Social, Nextgen Reader, Press, gReader, Newsify, Pure News Widget and Meneré, with more arriving in the coming months. 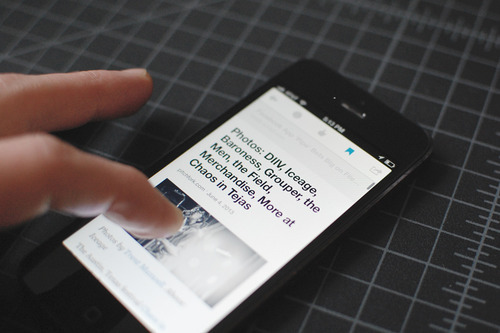 Digg will launch its Reader iOS app, pictured above, and an API next week. Having previewed Digg Reader, Gizmodo is overly impressed and notes it was able to import a few hundred feeds from Google Reader with a single click. The long-term vision, we’re told, is to build more machine reading features like the “Popular” tab into the product, so that you can filter and process the news. For example, the company has been experimenting with a tool that sorts by reading level. Give it a click, and your animated gif listicles shoot to the bottom while erudite analysis on Gawker Media publications boil to the top. That’s the innovative bit that competitors like Feedly might not be able to serve up. Due to an incredibly short deadline, Digg’s Reader currently lacks search and other features that made Google Reader such a hit among RSS lovers. Betaworks, the company that runs Digg now, has said it will implement advanced features over the course of the next two months. This includes stuff like support for Buffer, Evernote and IFTTT, in addition to an Android version and tools to sort, filter and rank your reading lists and feeds, “based on your networks, interests, likes and so on”. What app do you rely on to sort through your RSS feeds?